In 2004, Sergeant Lucy Ross was taken from us as she was responding to a crime scene. Lucy was very special to all of us. One of the ways we celebrate her life is through the recognition of a very special person in the Sheriff’s Office who demonstrates the same qualities as Lucy – qualities such as dedication to the community and the love of children. 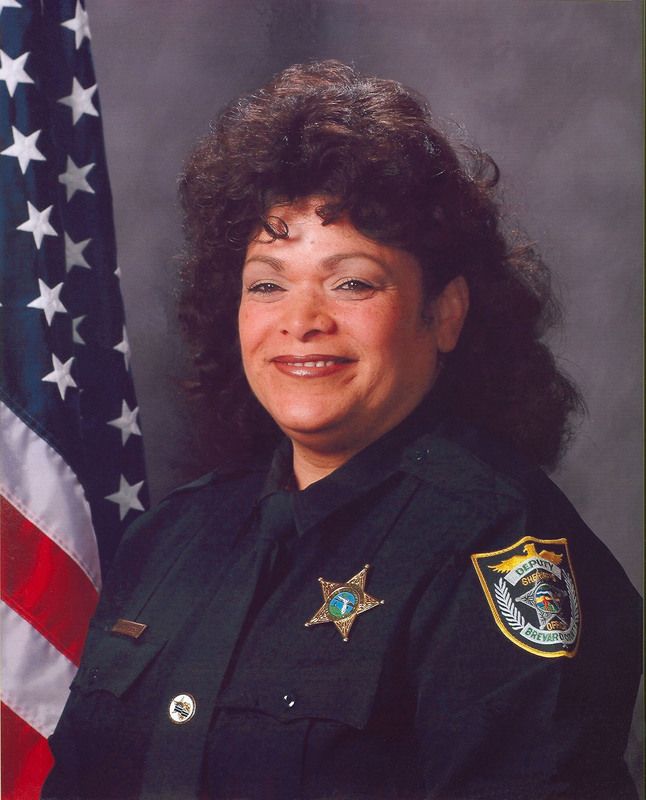 Beginning in 2005, the Brevard County Sheriff’s Office established a very special annual award known as the “Sgt. Lucy Ross Award”. between law enforcement and learning institutions to create an innovative program to implement and track the success of various law enforcement projects. She saw this as the perfect vehicle to implement a new program for victims of domestic violence strangulation. 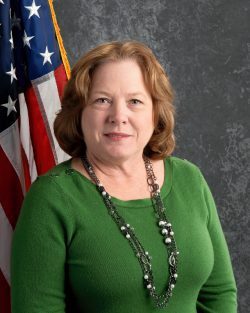 She invited various disciplines ranging from criminal justice, social service, and medical practitioners into a work group setting to discuss and formulate a program to help identify and address the problem of domestic violence strangulation. Ladies and Gentlemen, the 2015 recipient of the Lucy Ross Award – Agent Cyndi Young. He donated supplies for the Animal Shelter Makeover andprovided staffing who volunteered for 2 days to renovate the South Animal Care Center. He personally donated $12,000 to outfit the Animal Services mobile adoption trailer. He donated 500 life-saving tourniquets so that every deputy could be issued with this life-saving equipment and be better prepared for a critical incident. He donated over $15,000 for the Dancing for the Space Coast event. (The proceeds from this event benefit the Brevard Public Safety Charity, the Scott Center for Autism Treatment and the Brevard Symphony Orchestra). He personally prepared and provided holiday meals for every deputy sheriff working during Thanksgiving & Christmas. He is an instructor in our B.A.M., Brevard Attitude Modification, program, which teaches consequences and alternatives to at-risk youth. He teaches Self Defense training for men, women, children and seniors. He is the supervisor of the Sheriff’s Office Explorers Program, attending Meetings, Trainings, Special Events, and Out of County Competitions. He assists with our Public Safety Videos and presentations such as It’s Time to be a Parent Again, Self Defense Through Mental Preparedness and Tactical Shooting. He conducts Neighborhood Watch Meetings and Presentations. He assists with Operation Shred, a program designed to provide free document shredding services to our citizens. He participates in the Summer Reading Program, reading books to children . He is a member of the Crime Prevention Task Force. He volunteers for many Special Events, such as Tip a Cop, National Night Out, Breast Cancer Awareness, the Jail Break Adventure Race, the Super Hero Run, Shop with Cop, Holiday Parades, and wrapping presents for needy children. He conducts presentations for Brevard County Schools – such as Bullying, Cyber Safety, and Career Day at our elementary schools, Cyber Bullying, Social Media Safety and Drug Awareness at our middle schools, Social Media Safety and College Bound Safety to our high schools, Parent night at School (Cyber Safety for Parents), and Cyber Safety and Awareness for School Board Faculty. This individual has been actively involved in our agency for several years. He has progressively asked and become more and more involved in many aspects of the organization. During this past year he donated over 900 hours of hard work to our community. Served as lead COP to West Precinct coordinating precinct events and coordinating activities with our Agency Volunteer Coordinator. Worked extended hours at the West Precinct desk assisting citizens and fielding phone calls into the precinct. Assisted Animal Services Volunteer Program with the application process, background process and volunteer interviews. He has also assisted in the Viera Animal Services office and shelters. Assisted for the third year in the Jailbreak Adventure Race raising money for local charities. 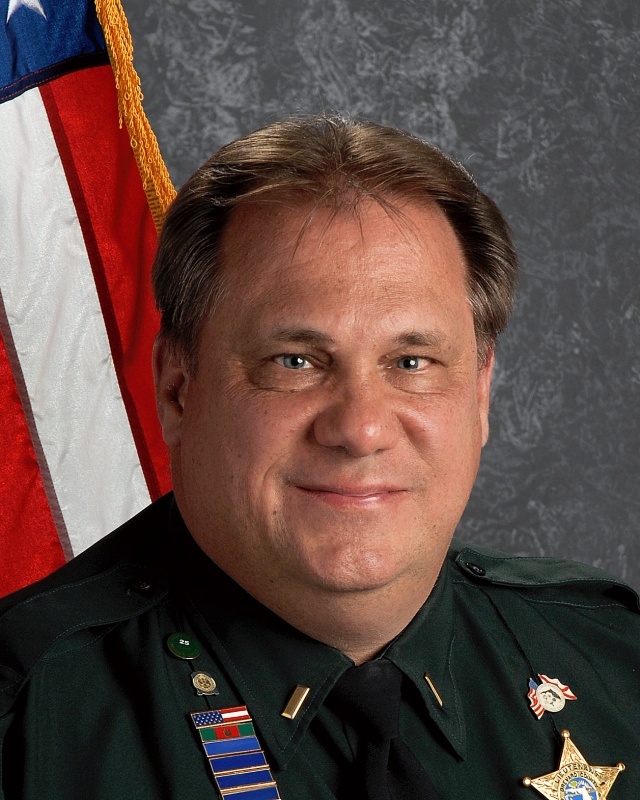 It is my pleasure to announce your 2015 Brevard County Sheriff’s Office Volunteer of the Year – COP Larry Cosma. The Reserve Unit is an integral part of our agency’s ability to maintain efficiency and effectiveness while supporting not only the needs of the agency but the community as well with no additional cost to the taxpayers. 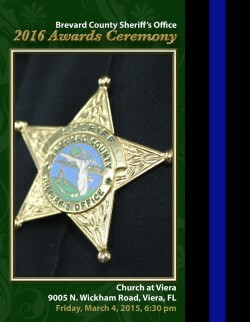 The Brevard County Sheriff’s Office Reserve Unit is comprised of 85 Civilian, Auxiliary and fully certified Reserve Deputies. The members are all volunteers who unselfishly devote literally thousands of hours each year to assist our agency with its overall mission. Each certified Deputy has attended the Law Enforcement Academy at their own expense and are a major component of our ability to provide so many valued services. $50,000 grant for Science, Technology, Engineering, and Math (STEM) programs for use at two PAL facilities. Ladies and gentlemen, I am proud to present your 2015 Reserve Deputy of the Year, Lieutenant Francis Cirillo. Deputy Mulvaney and Corporal Mason successfully saved an elderly woman whose life was in danger after suffering a fall and had been lying on her floor for several days. 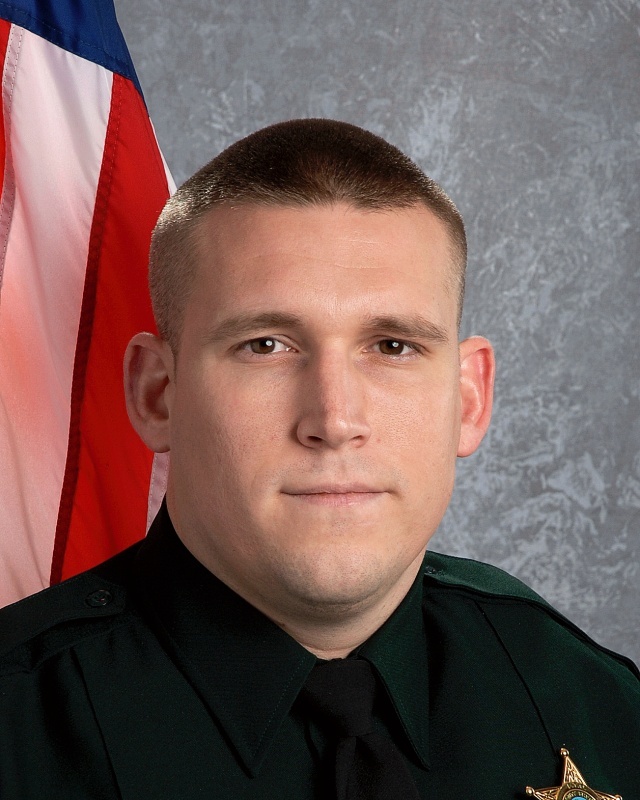 Deputy Donaldson administered emergency life- saving care to an unresponsive 8 year-old child who suffered from a heart condition enabling the child to make a full recovery. Special Victims Unit Agent Ethan Kersey is awarded a Bar of Merit for his exceptional job in conducting a very thorough and detailed investigation into the neglect and death of an elderly woman which led to the arrest of her two caregivers for Aggravated Manslaughter and Neglect of an Elderly Person. Field Training Officer Jared Conaway and Corporal Chris Spencer, along with their K-9 partners, did an outstanding job in assisting the Rockledge Police Department in a successful track to the residence of a juvenile suspect who was wanted for the arson of a Rockledge Police Department Officers vehicle and residence. Corporal Spencer and his K9 also alerted on the juvenile suspect who was among multiple occupants who exited the residence at the conclusion of the track. Deputy William Yearty responded to a senior living facility to assist the Cocoa Police Department with an in-progress aggravated battery call. While on-scene, Deputy Yearty assisted in stopping an extremely violent assault by a male suspect on a female victim. 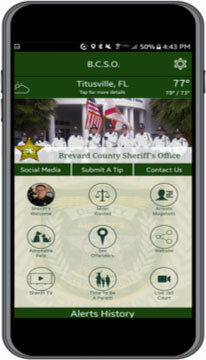 The successful planning, transition and implementation of the New World Records Management, Jail Management and CAD system for the Brevard County Sheriff’s Office was an extremely large and complex project which required the support and involvement of virtually every Command within the agency. Although the success of this project involved the efforts of numerous agency personnel, the following employees are receiving a Bar of Merit for their tremendous work both as a member of the New World Agency Build Team and their individual contributions during the implementation process. Agent Brian Guilford and Agent Aja Stake coordinated efforts to locate and apprehend a wanted violent sexual offender who absconded from Iowa and was hiding out in Brevard County. Their dedication and perseverance should be commended in keeping the community safe from any further victimization by this suspect. Beginning in early 2014, the Canaveral Port Authority met with the Sheriff and requested the BCSO’s consideration in assuming all Law Enforcement and Seaport Security services. This was both a time consuming and challenging task. The initial contract was executed with less than 2 weeks prior to the effective date. Those involved created a very effective transition plan and operations commenced on October 1, 2014. With the close of 2015, the partnership with the CPA is now both exceptional and a true model for open communication. We would like to commend the Canaveral Port Authority Commissioners, CPA Deputy Executive Director Jim Dubea, the City of Cape Canaveral Mayor and Council Members and Cape Canaveral City Manager David Green for their leadership, support and vision for this incredible endeavor. These employees are being recognized with a Unit Citation for their exemplary actions. Commander Moros, CFO Pelham, Major Ring, Lieutenant Keck and Lieutenant Moros are receiving a Bar of Merit and the remaining personnel are receiving Commendable Service Bars for their outstanding efforts to look past the challenges and create one of the most cost efficient and operationally effective Port security operations in the world. 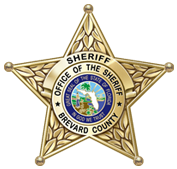 During 2014, the Brevard County Sheriff’s Office began training all Patrol Deputies in an effort to prepare and equip our deputies with real world knowledge and experience when faced with critical incidents and mass casualties. This training came after an incredible partnership with Tom Darnell, founder and President of Community Champions, Health First, and Supervising Medic David Schmitt who all joined together to create a Critical Incident Response and Active Shooter training for all Brevard County Deputy Sheriffs. In addition to the training, Mr. Darnell graciously donated over 500 “Combat Action Tourniquets” to the Brevard County Sheriff’s Office for use by our patrol members in the performance of their duties. 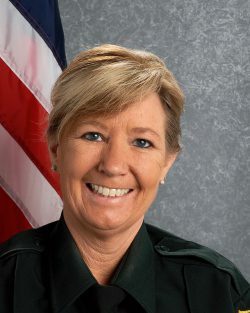 Sheriff Ivey determined the training to be top-notch for both responding and neutralizing threats, but recognized a dramatic void in the process. Based on a 2014 study published by the Department of Homeland Security, Law Enforcement’s efforts to stopping the threat is only one phase of responding to these types of critical incidents. Being able to quickly and efficiently care for the victims of mass shootings was another high priority, yet there wasn’t any current training or procedures in place for this critical component. Sheriff Ivey and Major James Woolsey created a lesson plan and Major Woolsey initiated the leadership role and implementation of the training program. He then began coordinating a mutual effort with the incredible professionals of the Brevard County Fire Rescue to develop training and procedures for a combined response to these critical incidents. In early 2015, Major Woolsey began working with Brevard County Fire Rescue Chief Mark Schollmeyer and their training division to develop custom tailored training and standards for our needs here in Brevard County. Our county is full of Professional Instructors and training representatives highly qualified in these types of topics and by custom building standardized training and procedures this saved the tax payers several hundred thousand dollars to train and prepare our first responders and not out-sourcing these efforts. The goal was to use a multi-agency concept to combine a law enforcement (security) element and an emergency medical service (medical) element to rapidly assess, treat and extract casualties at incidents involving an active shooter(s). By February of 2015, the training was developed and the teams began identifying and training the trainers for each of the agencies. And by April 2015, a 6 week initiative was underway to get all emergency personnel through the specialized training. For their efforts, each will be receiving a Bar of Merit. The value of this training program was truly realized in August 2015, when a BCSO agent was critically wounded after being shot. I would also like to recognize Lieutenant Dale Little, Firefighter Justin Holmes, Firefighter Charles Lemmon, Firemedic Ryan Hammett and Firemedic Cheryl Hecky for the courageous job they did attending to Agent Smith’s injuries. They responded into the active and unsecure scene without hesitation, and while the deputies provided cover, they triaged the critical injuries and were able to transport Casey safely to the hospital for further medical care. There is no doubt that without the actions of these heroes, Casey may not be here with us today. They put their own safety aside in order to rescue a fellow first responder who was in need of immediate medical attention. For the ir actions they are each receiving a Life Saving Bar. This year’s Communications Officer of the Year received Communications Officer of the Month honors for both May and July of 2015. In May, he was recognized for his outstanding handling of a bank robbery. In July, this Communications Officer did an excellent job in answering and providing a response to an emergency 911 call involving a female climbing on top of a moving car. as a role model to both seasoned and novice colleagues alike. The Brevard County Sheriff’s Office is very proud to select Andrew Polk as Communications Officer of the Year for 2015. Our recipient was tasked with developing a team to work as a full- time media production unit. Over several months, this year’s winner and her staff were able to identify equipment needs and build a state of the art studio and editing facility at the Parkway Complex. Her first programs “On The Go with BCSO” were a hit with the community as the sheriff’s office realized amazing growth and feedback on these programs. Since that time our recipient has directed and produced “On Scene” for our Community Relations Coordinator and recently “Fugitive of the Week” and “Wheel of Fugitive”. To say her programs have had a positive impact is an understatement. Her work on these programs alone has been remarkable. Manager Cheryl Sink is recognized as the 2015 Civilian Employee of the Year. occupants may still be trapped inside the vehicle. He attempted to enter the vehicle but all the doors were locked. It was at this time he heard a female voice from inside of the vehicle, screaming she was drowning. Corrections Deputy Allende-Villafane knew the vehicle was quickly taking on water, and needed to calm her down to get her assistance in unlocking the door. Corrections Deputy Allende-Villafane was able to accomplish this task and after several unsuccessful attempts, was finally able to force the driver’s side door open and remove the trapped victim, carrying her to safety. Corrections Deputy Allende-Villafane’s life-saving actions and unwavering dedication are certainly a credit to this agency and to the community he so proudly serves. Our 2015 Corrections Deputy of the Year, Allende- Villafane. Deputy Truitt was asked to conduct a well-being check on an elderly woman, who was renting a room to a younger female. Deputy Truitt’s excellent investigative skills while at the residence discovered inconsistencies in the renter’s story. Further follow-up by Deputy Truitt discovered the victim had been murdered and her body stored in a shed behind the home. Deputy Truitt’s excellent observation skills and attention to detail, combined with his diligent work ethic in handling what many would have considered a “routine” call, proved paramount in uncovering a homicide and identifying the suspect of this crime. He has been awarded a Bar of Merit for his actions. Deputies Johnson, Worthy, and Sergeant Hearon, rescued the victim of an attempted murder by arson as they forced entry into a burning building and carried the victim to safety. Due to the quick actions of these deputies, they were able to enter a burning residence, whose main entry and exit points were blocked, and save the life of the occupant. They have each been awarded a Life Saving Bar. During an investigation, Agent Kolker learned one of the suspects routinely disciplined his two dogs by hooking their collars to a chain attached to a rope that hung from a rafter on his carport. The suspect admitted to Agent Kolker that recently while he was “disciplining” one of his dogs in this manner, it was left alone for approximately five hours, and when he returned, he found his dog deceased. Agent Kolker located a neighbor who also witnessed this act of animal cruelty and had even took photographs of the deceased dog as evidence. When the suspect became aware of the incriminating photographs, he forcefully took them from his neighbor. Through Agent Kolker’s outstanding investigative effort, in addition to arresting the primary suspect in the case for Animal Cruelty, Robbery, Grand Theft and Cultivation of Marijuana, Agent Kolker also arrested and charged a second suspect for his role in the case. For his actions, he has been awarded a Bar of Merit. In August 2015, the Special Investigations Unit was investigating criminal activity. 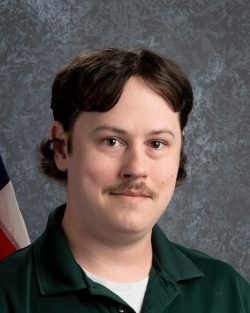 On August 20th, at approximately 9:15 P.M., Agent Jason Roberts, Agent John “Casey” Smith, and Agent Peter Stead responded to a residence for follow-up investigation regarding the case. After making contact with the female suspect at the front of the residence, the agents attempted to take her into custody. The female began calling into the residence at which time Agent Smith observed a male in the doorway and exiting the house with a handgun. Agent Smith made his presence known and alerted the other agents that the suspect was armed. 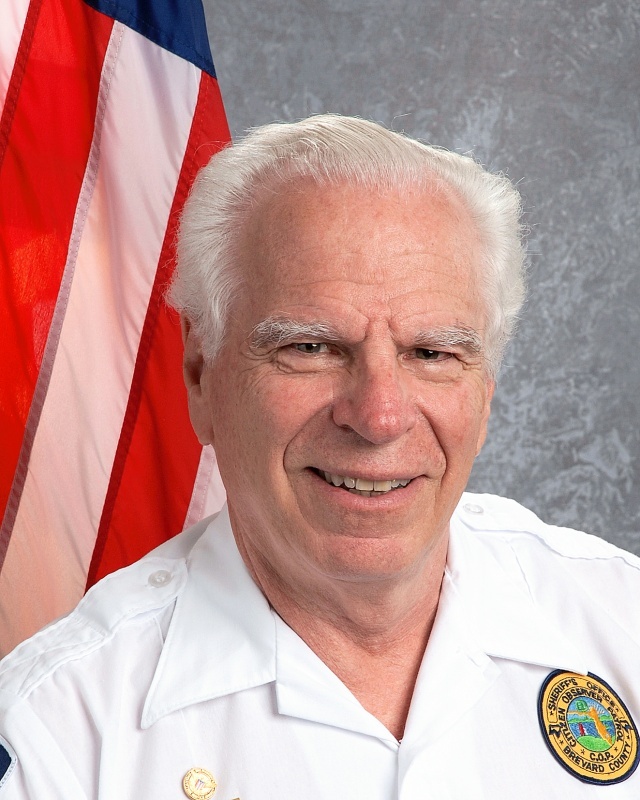 The male quickly began firing his gun at the Agents despite their clearly identifiable attire labeling them as Brevard County Sheriff’s Office Agents, as well as their verbal commands to drop the firearm. During this highly volatile encounter, Agent Smith was struck twice from rounds fired by the male suspect. The male suspect also received wounds during the exchange of gunfire. Upon recognizing the suspect was “down” and Agent Smith was shot, Agent Roberts maintained his composure and was able to notify the Communication Center of what had occurred and requested assistance. As the agents continued returning fire, they dragged Agent Smith out of the line of fire to a corner of the yard where they administered first aid, all the while being pinned down as the suspect continued firing on them. When the call for assistance went out over the radio, patrol units from North Precinct, Cape Canaveral Precinct, West Precinct, and East Precinct responded. At this point, the male suspect then sat up and fired several more times at the agents and fled back into his residence. Agent Roberts and Agent Stead then focused on emergency medical treatment of Agent Smith, not knowing if the male suspect would come out of the residence for another confrontation. While performing lifesaving measures, Agent Roberts positioned himself between the shooter and Agent Smith in an effort to shield him from being struck again while Agent Stead provided cover. The Agents administered lifesaving medical care to Agent Smith, to include CPR, while additional patrol units arrived on scene. Judicial Services Chief Mike Lewis, who resides in the area was awoken by the sound of gunfire, grabbed his ballistic vest and duty weapon, and ran to the scene. Chief Lewis provided cover to the agents as they continued to move Agent Smith out of the line of fire. Once additional units arrived on scene, Chief Lewis assisted Sgt. Beuer and Lieutenant Will Haggerty with positioning perimeter units. Lieutenant Will Haggerty was one of the initial deputies on scene and assumed the role of Incident Commander. He coordinated the officer rescue of Agent Smith; positioned other responding units to perimeter points in order to contain the scene; and along with Chief Lewis, addressed the arrest of the suspects. Sgt. 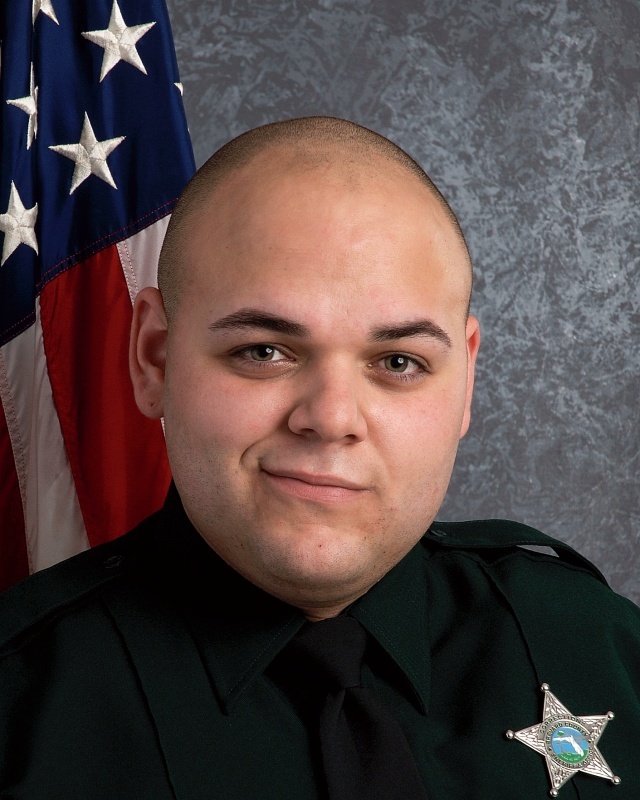 Beuer was one of the initial deputies on scene as it was still evolving and positioned his patrol vehicle between agents and the suspect’s residence in order to provide a barrier between the agents and the shooter. Deputy Hammer located a stolen vehicle from Orange County occupied by two suspects which fled upon seeing him. A short time later, Deputy Hammer observed the suspects in front of a residence with one attempting to carjack a victim in her driveway with an infant child in the backseat. Deputy Hammer arrested the suspect before he could flee the area or harm the female. His quick thinking certainly averted a serious crime from becoming a tragedy. Agent Jason Roberts, Agent Peter Stead and Agent Casey Smith. While encountering an armed subject with deadly intent is something we pray no deputy ever faces, unfortunately, it is happening more and more. In August 2015, these deputies were involved in a courageous gun battle for their very lives. They summoned all their training, skills and courage to emerge successful. For their efforts, they are each awarded the Medal of Valor. On February 6, 2015, our recipient was one of three deputies who responded to a residence in Cocoa regarding a vehicle fire. Upon arrival, they found a vehicle in the driveway fully engulfed in flames. The fire had also spread to another vehicle in the carport and onto the eaves of the home. Due to the size of the fire coupled with the unstable and explosive contents within the carport and vehicles, the deputies were unable to reach the front door of the residence. As deputies ran to the rear of the house, they discovered a burning gas can under a natural gas line, as well as fire at the rear door. With fire blocking all entry and exit points to the home, the three deputies began banging on windows to try to notify any occupants. They broke out one of bedroom windows and worked together to locate and carry the only occupant to safety. An inspection by Fire Investigators determined the fire was arson and intentionally set with the intention of trapping the occupant inside the residence. Without the quick actions of these deputies, the victim would have surely perished. For this incident, our recipient is being awarded a Life Saving Bar. The deputy was the first to arrive on scene. As he approached the intersection, he observed a male subject matching the description of the armed suspect. He stopped his patrol unit in the middle of the roadway and activated his emergency blue-lights, at which time the suspect began advancing and discharging a semi-automatic pistol directly at our deputy. The deputy then exited his patrol unit as rounds were penetrating into his passenger compartment, all while undergoing heavy gunfire from the suspect. 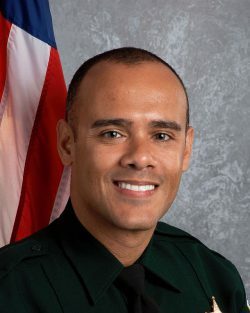 The suspect continued to aggressively advance towards the deputy following him to the rear of the patrol unit during the continued exchange of gunfire. During the exchange, the deputy experienced a double feed weapon malfunction, but he immediately conducted a tactical reload and continued to exchange gunfire with the suspect. At the rear of the patrol unit as the two were merely feet apart, the deputy was able to target and neutralize the deadly threat. Prior to his service with the BCSO, Nick is a decorated combat veteran where he served this great nation with several tours overseas as a US Army Ranger Sergeant and Team Leader, where he was recognized with the Bronze Star Medal of Valor in combat for his heroic actions in Afghanistan. Nick is also the son of Deputy Terry Worthy, a 35+ year member of our agency. It is my pleasure to recognize this exceptional deputy sheriff by presenting him with the Medal of Valor and introducing Deputy Nicholas Worthy as your 2015 Deputy of the Year.